Karakul sheep flock sale. Why to choose this breed? One of the most well-known sheep breeds in the world is the Karakul breed, a member of the family of fat-rumped and broad-tailed sheep which are characterised by the fat deposit at the base of the tail rather than elsewhere in the carcass (actully, the rest of the carcass is very lean). According to Slow Food USA, the name of this breed comes from the village of Kara Kul (name which means Black Lake), located in the Bokhara region between Turkmenistan and Afghanistan near the Caspian and Black Seas. Karakuls are used for the production of meat, fat, milk, wool, and pelts. The wool of the adult Karakul has a very strong fiber and is used in the fashion industry to fabric footwear, carpets, and yurts. Also, the pelts of lambs, called “Persian lambskins” or “Astrakhan”, is used to make a variety of garments. The Karakul fat is distinctive in texture and flavor from other body fat and is highly valued in the cuisine of Central Asia. The tail of the Karakul sheep is used in many Middle Eastern dishes. “The fat is rendered into tallow, called `rowghan` in Farsi or `allyah` in Arabic, which is then used much as tallow once was in American cooking: to add juiciness and flavor to grilled meat, to grease cookware, or to add the mild flavor to a dish. 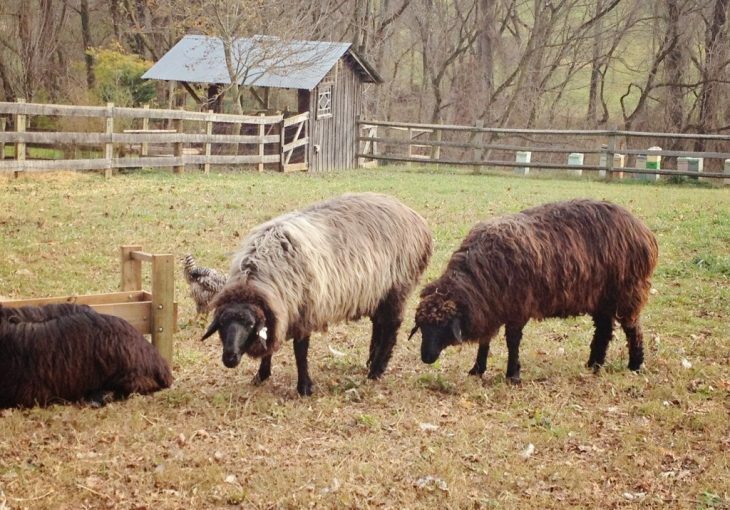 Sheep with fat tails accumulate fat deposits in a different manner than other sheep, which is why the Karakul consistently scored higher on juiciness than the other breeds tested. The Karakul meat it is favored for Muslim holidays such as Eid al Fitr and Eid al Adha”, according to Slow Food USA. Romania is a country with a favorable environment for sheep breeding, with many pasturing fields and beautiful hills for the lambs and sheep. More than that, for Romanians, sheep breeding is a tradition and the country has managed to become the third largest sheep flock in the EU after Great Britain and Spain, according to Eurostat statistics. That’s why Romania has numerous sheep breeders that consistently exports livestock in Europe and, via sea routes, in countries like Libia, Tunisia, Egypt, Israel or Lebanon. The Karakul breed was imported here in the 19th century and re-named Romanian Karakul. So, besides the two important categories of autochthon native sheep breeds that Romania raised and exports – the Tsurcana and the Tsigai breeds – you can find here even the Karakul breed. Seradria, for example – a Romanian company with over 20 years of tradition in sheep breeding and selling lambs – exports livestock via sea routes even to countries from the Arab Peninsula, with access to Israel and Lebanon. Moreover, for Israel, Seradria castrates all the lambs that are prepared for export, and also make all the blood analysis and vaccines required extra by the authorities.